One of my favourite things to write about here on Beauty Rant is foundation reviews so I’m super excited to be bringing this review to you all today! Today’s post is going to be a review of the Gosh Foundation Plus+ which you can pick up at Superdrug for £9.99. FOUNDATION PLUS+ 2IN1 COVER + CONCEAL is a very covering foundation and concealer in one, that gives a natural look and feel, and lasts all day. The formula is lightweight and easy to apply. The shade range for this foundation is quite poor with only 5 shades in total ranging from fair to tan, I chose the lightest shade which is 002 Ivory which is actually a perfect match for me. The packaging for this product is a squeeze bottle with a nozzle applicator. Whilst I personally prefer a pump on my foundation, the nozzle on this foundation does have quite a bit of control so you aren’t going to waste product like with a pouring foundation. I used the ELF Ultimate Blending Brush to apply one layer of the foundation and it does apply beautifully to the skin, blending seamlessly and becoming one with your skin. I have a few dry patches and it didn’t pick up on them which is a nice change for a drugstore foundation. As you can see, with one layer of product you can still see some redness and imperfections which I actually quite like but you will definitely need to build this up to reach full coverage. For those of you who may be sensitive to scents in a foundation, this does have a somewhat fruity scent which I personally like but might not be for everyone! I was surprised at how long this foundation lasted on my skin! It doesn’t slip or slide around your face throughout the day and lasts a good 8 hours before starting to fade slightly. 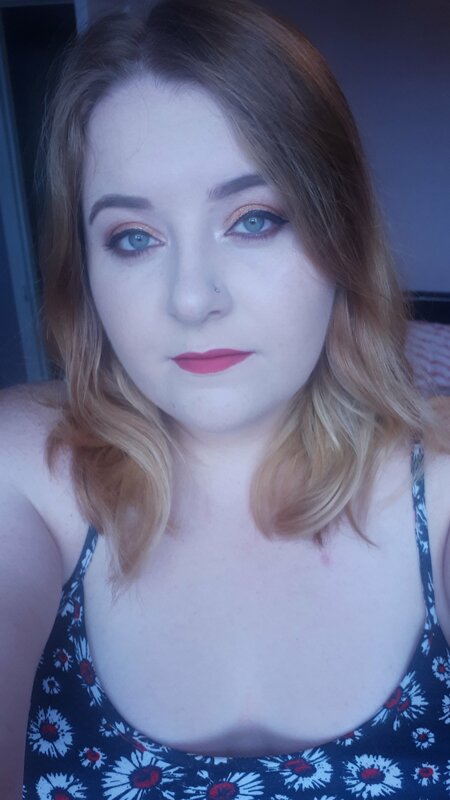 I really like this foundation and it does give a beautiful natural finish however for £9.99 I think it would be better spent on the L’Oreal Paris Infallible Pro Glow Longwear Foundation which I reviewed here. I really have to try it!! !